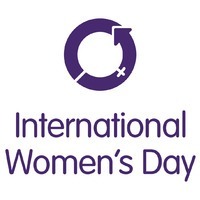 Today is International Women’s Day. In honor of this great holiday we have compiled a list of some of the most influential women in product and project management. Check out their great work! 1. Elizabeth Harrin: She is the driving force behind A Girl’s Guide to Project Management, where she dishes up tips and case studies surrounding project management challenges, successes and best practices. 2. The Cranky PM: Although she recently announced that she was taking a permanent hiatus from her epic blog The Cranky Product Manager, the product management community will still be looking forward to her new book, reported to be currently in the works. 3. Adrienne Tan: Adrienne is the glue that holds Sydney product management consulting agency Brainmates together. She also coauthored a chapter in the book Digital Experience Design. 4. Natalie Yan Chatonsky: Nathalie is a seasoned product professional who is chock-full of knowledge on everything from customer experience, product innovation and product planning and development. Check out Natalie’s most recent guest post on our very own OneDesk blog. 5. Cindy Solomon: Cindy is the founder of Global Product Management Talk, an extremely successful podcast. You can check out everything she’s been up to on her website. She is also very active on Twitter and Google+. Also worthy of mention is Kari Ann Briski. Her blog, The Pink Product Manager, highlights the strengths and challenges women face, specifically in IT Product Management. Thank you to all of you female powerhouses for enriching the product and project management space with your fresh, innovative insight, passion and dedication. As always, please let us know if we missed anyone! Wow, thanks for including me on this list! No problem Elizabeth, you deserve it!